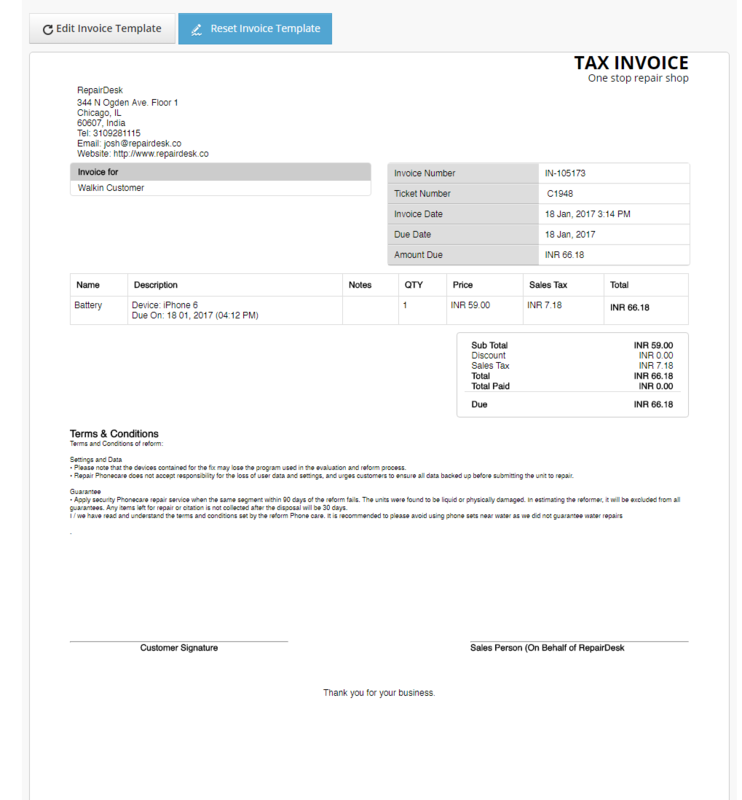 The Template Editor module of RepairDesk allows you to customize your invoices, whether A4 size or mini receipts, ticket label, estimate and trade in receipts through a simple WSYIWYG editor. We've built this feature so that you can customize invoices and receipts according to your business requirements and give a personal touch to them. 1. Go to Settings >> Integrations >> Template Editor. 2. The Templates screen will open up. 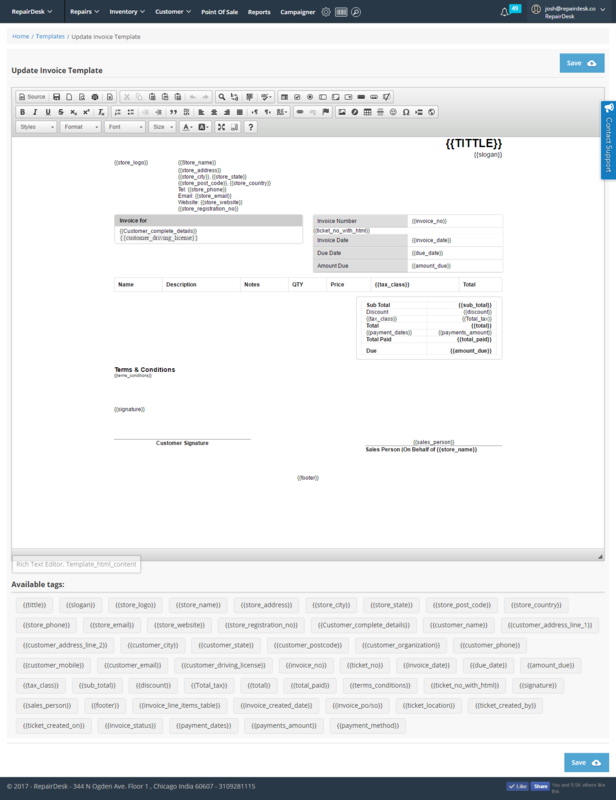 Here you can see multiple templates for different sizes of invoices and receipts. To preview or edit a template click on the Action button and select an option. 3. The template of the preview will display at the bottom, giving you a clear idea of how the printed invoice, receipt or label will show up. Click on Edit to modify the template or click on Reset to completely reset the template and will go to its default form (quite helpful if you want to get rid of multiple changes you have made accidentally). 4. When you click on the edit option for any invoice, receipt or label, you will be redirected to the edit page for that particular invoice, receipt or label. You can see various tags which will be fetching relevant data from RepairDesk database. You can also drop a tag or add a new one from the bottom under the heading of Available Tags. 5. Once you're done, click on Save button to save the changes which you have made.